With our fast-paced lifestyle today, fitness has taken a backseat. Our busy schedule also comes in the way of spending quality time with our significant other and our families. Sharing a common goal between you and your significant other makes a good partnership. And there is nothing better than following a mutual love for fitness. You’ll not only strengthen your body, but also your bond as a couple. Don’t believe us? 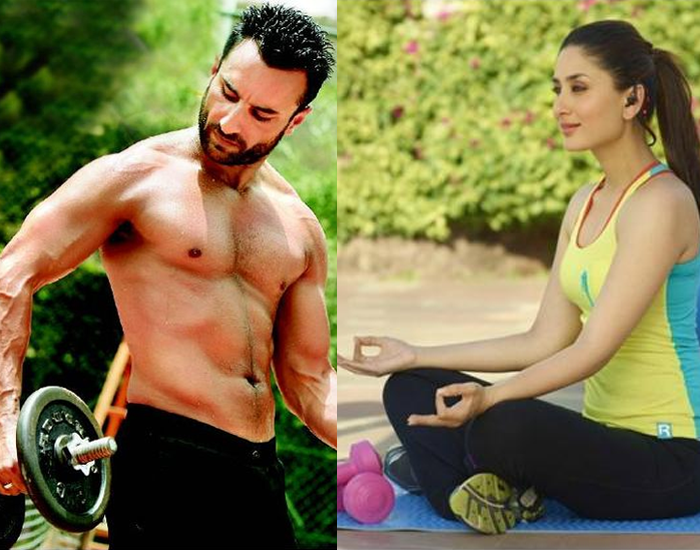 Take a look at Bollywood’s power couples who work out together. Their teamwork makes the dream work. These power-couples share everything from late night training, to waking up together and downing power shakes while encouraging one another to reach their fitness goals. Both Karan and Bipasha find it monotonous to do the same set of workouts every day. This power couple tries to mix a lot of modern exercise techniques and devise workout regimes that are geared towards their fitness. With their mutual love for workout also comes their mutual love for food and together they follow an intensive diet plan. Tiger Shroff and Disha Patanihead out to the gym together. They’ve been amazing us with their toned bodies and share a mutual love for dancing. Together they follow a strict fitness regime which includes cardio, weight training, and yoga. They both believe that when it is about fitness, there are no breaks. So, they workout 7 days a week and focus on different body parts each day. Saif is an ardent follower of a balanced diet. His workout usually involves power-packed activities like kickboxing, boxing, etc. While Kareena has wowed us with her sincere dedication and perseverance towards fitness. She likes to focus on workouts which keep her core strong and her body flexible. Yoga, Pilates, and swimming her favorite! Shahid has undergone a great transformation that serves as an inspiration to many. For Shahid, dancing has always been his first love and that has made him more flexible and has given him a toned physique. Mira, on the other hand, is not a gym enthusiast, but she trains at least 4 times a week. Her workout is usually a combination of yoga, pilates, and cardio. Vrushkamesmerized us with their fairy-tale wedding a few months ago. While Virat has always been extremely serious about his fitness, Anshuka herself is a self-proclaimed fitness enthusiast. 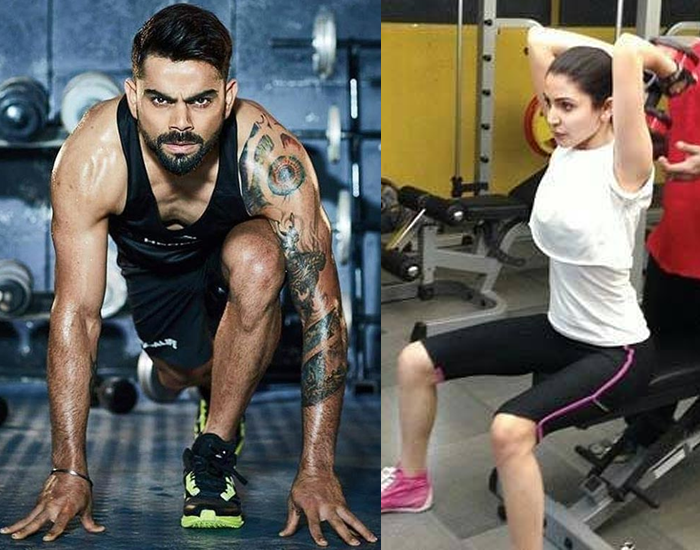 Virat’s super fit physique is the result of his diligence whereas for Anushka, yoga, and dance help her feel rejuvenated and keep her flexible. Working out with your partner is mutually beneficial – you motivate and push each other to train harder. Take fitspiration from these Bollywood fit couples who show us that love and fitness go hand-in-hand.